English peas, also known as shell peas or garden peas, are unique from snap and snow peas because their shells are fibrous and inedible. 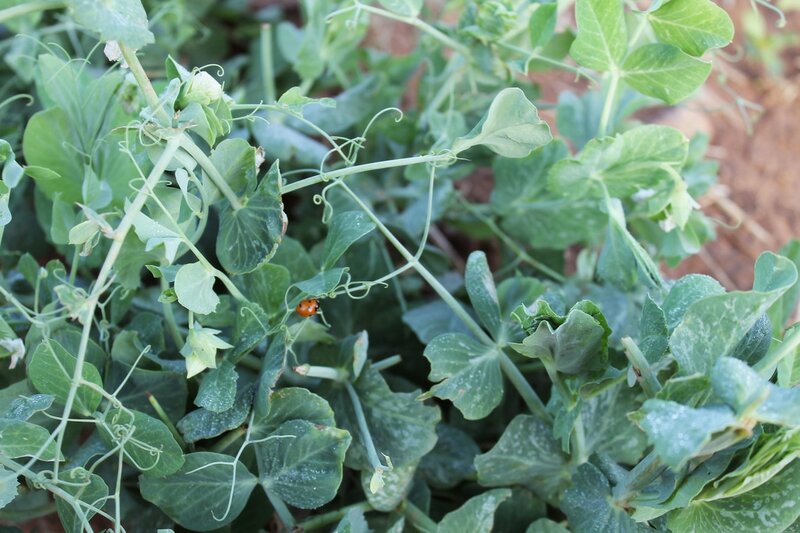 But the peas within are tender, sweet and delicious enough to enjoy raw, especially early in the season. English pea season in this area begins in May and ends in late June or early July. After purchasing English peas, they can be kept in the refrigerator for up to 3 day in a tightly sealed bag or container before shelling. The longer they sit and the older they get, the more starchy and mealy they will become. At the beginning of the season, the peas are delicious in raw form. To remove them from their pods, grab the stem at the top of each shell, snap and pull the string down. Run your finger along this seem to open the pod and then remove the peas within. Peas can be simply blanched for 1-2 minutes in salted water, shocked in an ice bath and added to salads, hot and cold pasta dishes or to soups. The pods can even be used to enhanced vegetable stocks. 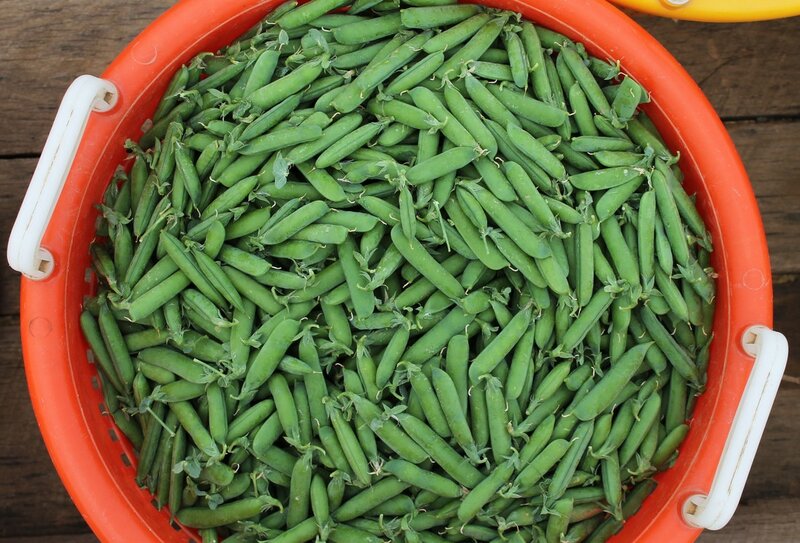 English peas are the kind that you commonly find in the grocery store in frozen packages. To freeze them, shell the peas first, rinse them in clean water and then add them to boiling, salted water for 1-2 minutes. Remove them from the water, shock them in an ice bath and let them dry completely on a clean kitchen towel. Finally, transfer them to a clean sheet tray and place them in the freezer for about an hour, or until completely frozen. Scrape them off of the tray into a freezer-safe container and label. Freezing them this way will ensure that the peas don't freeze into one giant clump.